So, adding videos as blog postings evidently doesn’t scale up very well since they all get displayed on the same page. I’m not sure how many entries are displayed by the OUBlog before it paginates but there is no setting to change this. Now to come up with a workable alternative. 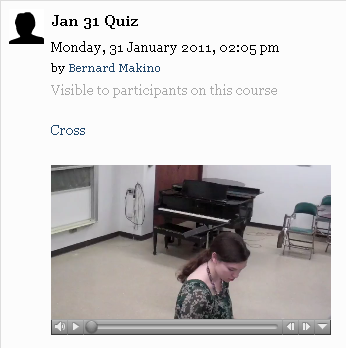 This entry was posted in pedagogy and tagged media, video. Bookmark the permalink. This blog's about transitioning Earlham Learning Spaces from Elgg 0.9 to a new Social Networking System.